As we approach year end, thoughts naturally turn to the "year that was" type of thinking. Unfortunately, as NDD and I have written over the last few weeks, there really isn't much to write about from the US perspective which is anything near glowingly positive. I describe the initial phase of the next expansion the "fits and starts" expansion because not one of the four elements outlined above will lead completely or continually. I think it's far more likely we'll see an increase in consumer spending one quarter followed by increased stimulus spending and an increase in exports the next quarter. 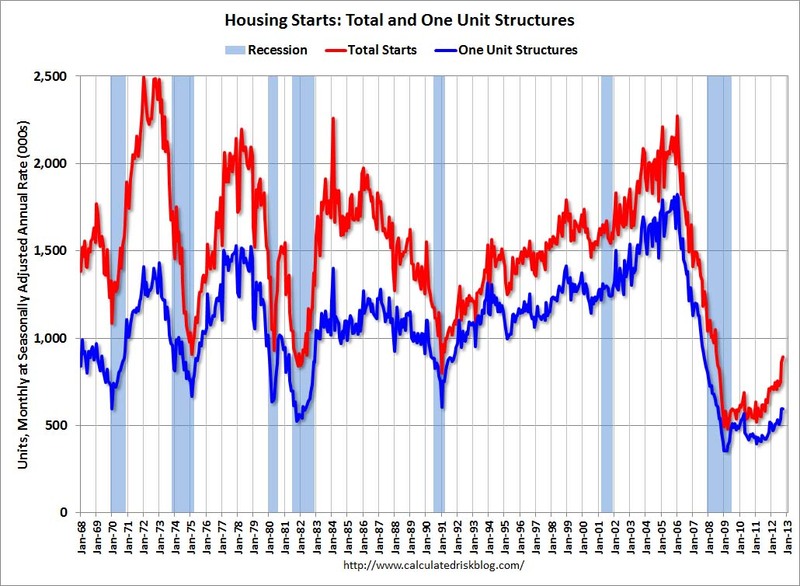 In other words, various economic sectors will take the lead one quarter and then fall back. In other words, we'll see fits and starts from the above sectors. 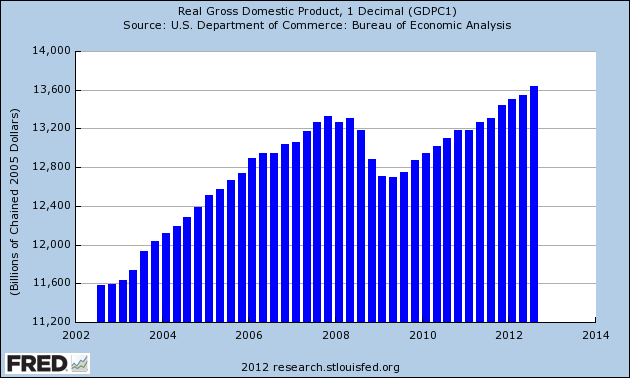 The top chart shows that in real terms, total US GDP is above pre-recession levels. That's good because, frankly, not many countries can make that assertion right now. The bottom chart shows the same data, but in a "percentage change from the same quarter last year" perspective. 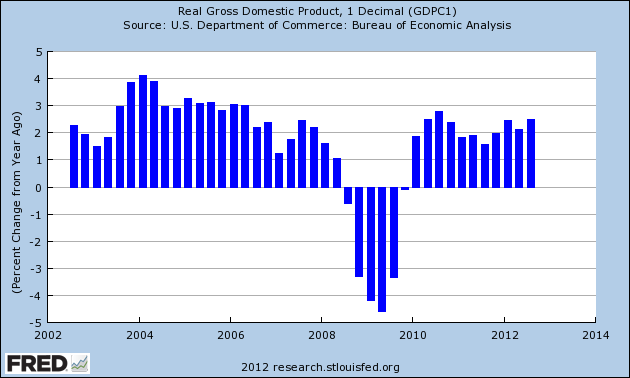 Notice that growth has been hovering around 2% for most of the last few years, and only approached 3% in one quarter. Simply put, that's nothing more than a fair track record at best. Again, it's better than most (see my posts last week on Japan, the UK and the EU), but that's really not saying much. bank loans are paid off, and to a slowing down of velocity of circulation. This contraction of deposits and of their velocity, precipitated by distress selling, causes (3) A fall in the level of prices, in other words, a swelling of the dollar. Assuming, as above stated, that this fall of prices is not interfered with by reflation or otherwise, there must be (4) A still greater fall in the net worths of business, precipitating bankruptcies and (5) A like fall in profits, which in a " capitalistic," that is, a private-profit society, leads the concerns which are running at a loss to make (6) A reduction in output, in trade and in employment of labor. These losses, bankruptcies, and unemployment, lead to (7) Pessimism and loss of confidence, which in turn lead to (8) Hoarding and slowing down still more the velocity of circulation. The above eight changes cause (9) Complicated disturbances in the rates of interest, in particular, a fall in the nominal, or money, rates and a rise in the real, or commodity, rates of interest. Put in less formal terms, the country as a whole takes out too many loans, so they have to spend a lot of time paying off or liquidating the debts. This is the end result of the housing bubble and why these types of bubbles create an entirely different post-recession growth dynamic. Against that framework, let's look forward into 2013 and organize the data between the good, the bad and the ugly. There are some good signs which are encouraging for next near. First, the financial service obligations ratio of US households (which is the broader measure of consumer debt health) has been dropping sharply for the last few years and is now near 30 year lows. This tells us that households have either been paying off or liquidating debt in sufficient quantities to lower overall household debt. 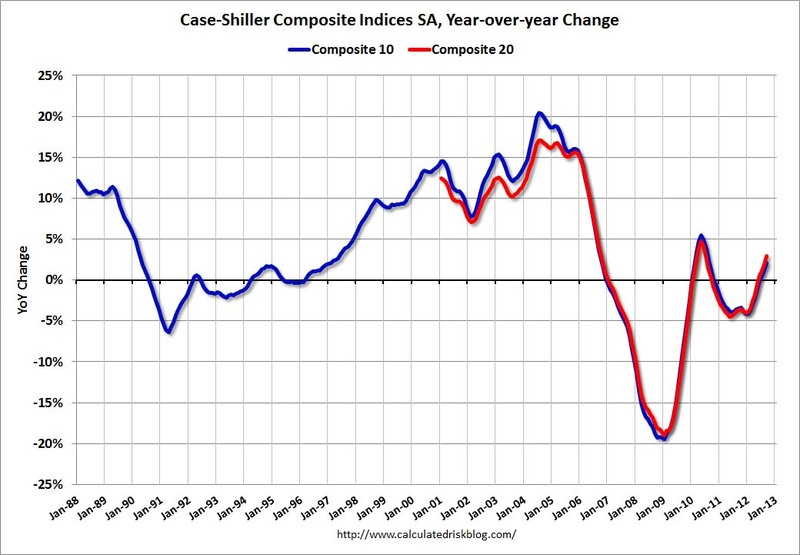 That helps us move away from the debt-deflation dynamic. 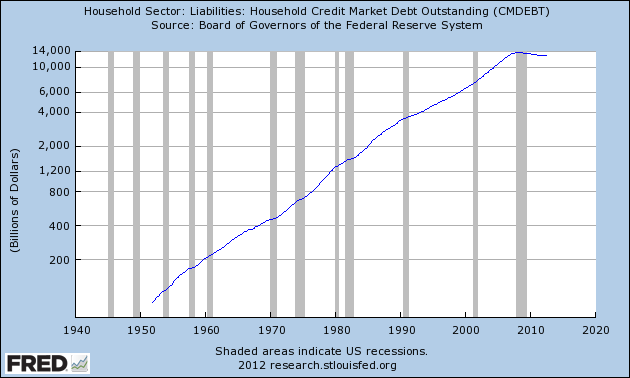 The above data shows total household credit market debt outstanding in Log scale and shows that over the last few years, the rate of increase has actually become a decrease. 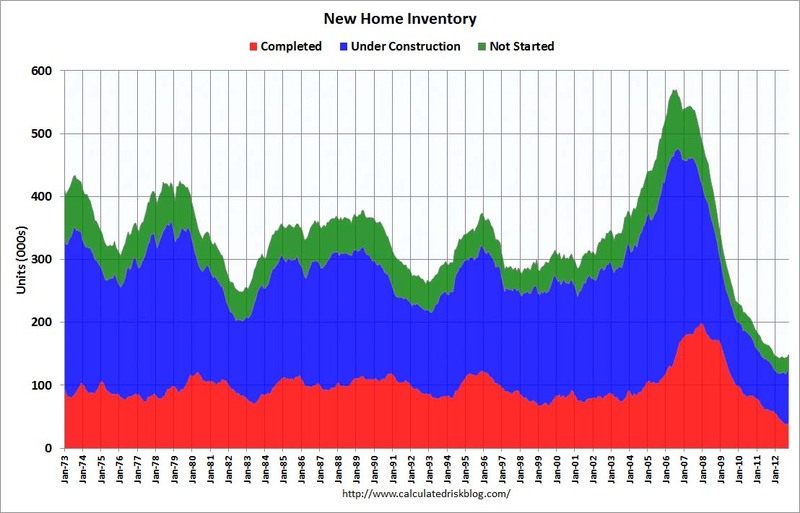 The top chart shows that new home inventory is at its lowest level in nearly 40 years, while the bottom chart shows the existing home inventory level is far closer to levels seen at the beginning of the 2000s. 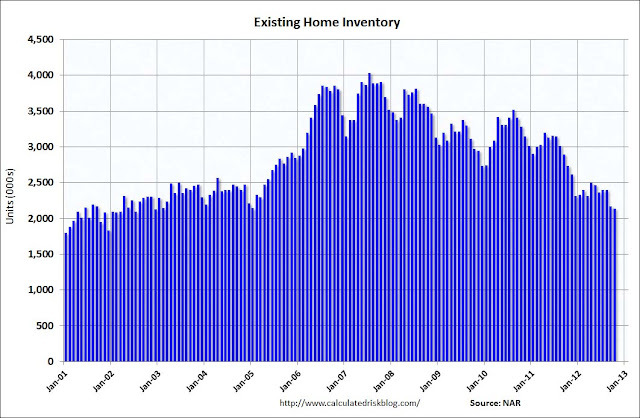 Lower supply equals higher prices and a far healthier supply/demand scenario. As the chart above shows, housing charts have risen from their lows and are now moving to far healthier levels. This is a very encouraging sign according to Leamer. 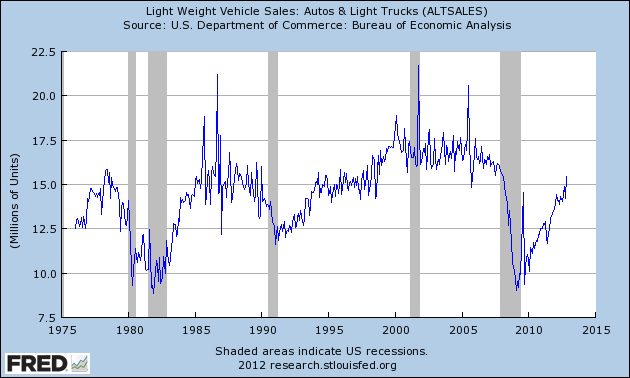 Auto sales have rebounded from the post-recession lows and are now at levels seen in the mid-1990s. The reason the housing and auto sales markets provide us with good news is they are durable goods which typically require long-term financing. Consumers don't engage in these transactions unless they think they'll be able to make the payments for an extended period of time. 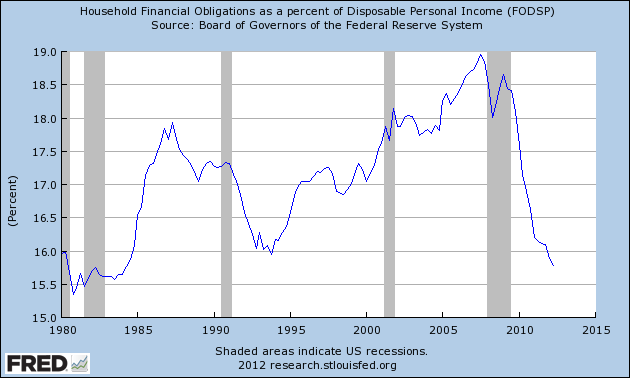 Hence, these are indicators that some consumers have enough confidence to go into longer-term debt. 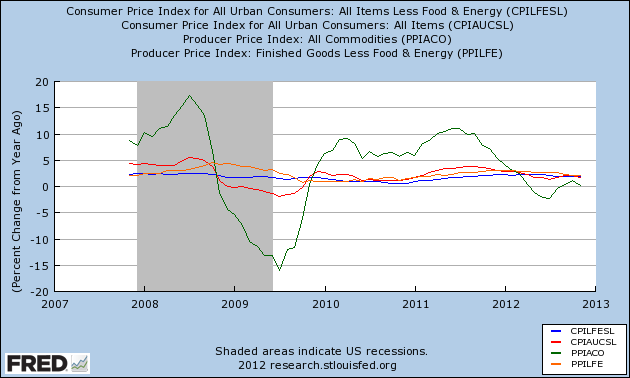 Finally, the above chart shows CPI and PPI, both core and total's year over year percentage change. Inflation is clearly under control. And while we have seen PPI spike several times over the last 5 years, producers have absorbed those costs, thereby preventing them from bleeding into broader prices. Tomorrow, I'll look at the bad and the ugly. What's Wrong With the UK Economy?